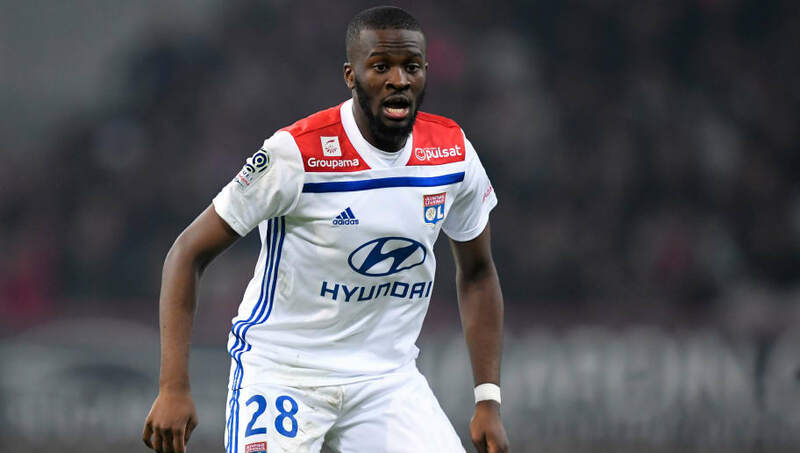 ​Both Manchester United and Manchester City are in contact with the representatives of Lyon midfielder Tanguy Ndombele, as they prepare for a bidding war for the Frenchman's services in the summer. The 22-year-old is widely regarded as one of Europe's hottest prospects, having enjoyed a breakout year on loan with Lyon last season. Against City in this season's Champions League, Ndombele looked composed in midfield, using his strength and technical ability to cause countless problems, even drawing praise from Pep Guardiola following the match. News of the two Manchester sides' interest in Ndombele comes from French outlet ​Le10Sport, who state that both ​United and ​City are monitoring the midfielder, but are yet to open negotiations. The report even states that City had a €50m offer for Ndombele rejected last summer, with Lyon reluctant to part ways with a player who had only just joined them permanently. However, the two clubs risk falling behind in the race for Ndombele's signature, as Le10Sport claim that both ​Inter and ​Juventus have advanced their interest in the Frenchman, attempting to find an agreeable asking price with Lyon. Lyon are said to be looking for a fee of around €80m, and they certainly will not accept offers of around the €50m mark set by City during the summer. ​Real Madrid and ​Barcelona are also thought to be keen on Ndombele but, like the Manchester clubs, they are yet to show any concrete interest. Ndombele began his senior career with French side Amiens, but was anything but a household name. He joined Lyon on loan for the 2017/18 season to very little fanfare, but it was evident that Lyon knew exactly what they were getting with the youngster. He made 50 appearances for the club in all competitions, racking up one goal and eight assists. He featured in all of Lyon's Europa League matches, including two meetings with ​Premier League side ​Everton, before securing a £7m move to Lyon last summer.